Most people pass over Naples, Italy. 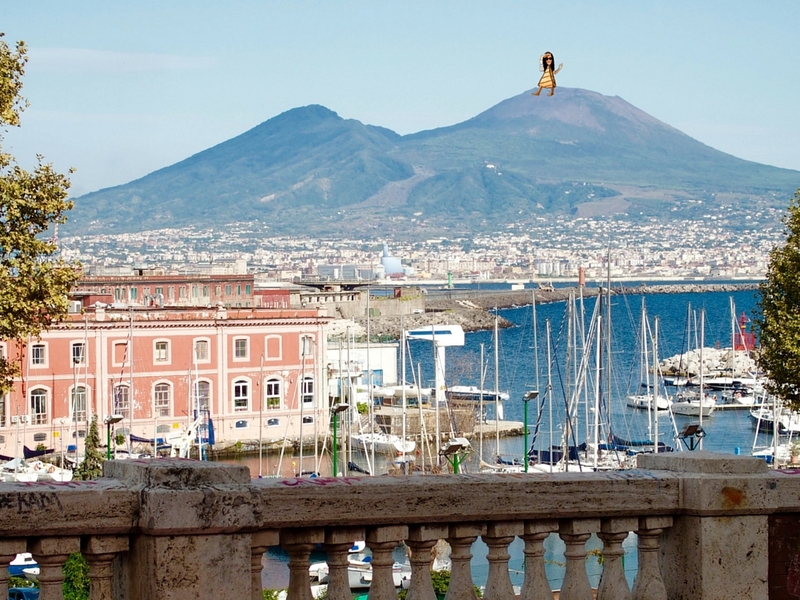 They use it as a portal city to hop on over to the more “glam” places, like the Almalfi Coast or the island of Capri. All sorts of rumours fester around Naples and why it’s not worth your time. You might’ve heard banter that it’s dirty, crime-ridden, and well…there’s just not much to see. Well you know what I have to say to all of that? And I’m from America, I don’t even use that word! But, in some cases, ya’ just gotta use it. And in this case, it’s really the only proper way to describe these ignoramus rumours. So, low and behold, I am going to debunk these roarin’ rumours and explain to you in six short points why you are making a big, huge, fugly mistake by passing through Naples. 1. PIZZA. It was born here. ….Trick question. Of course you do! 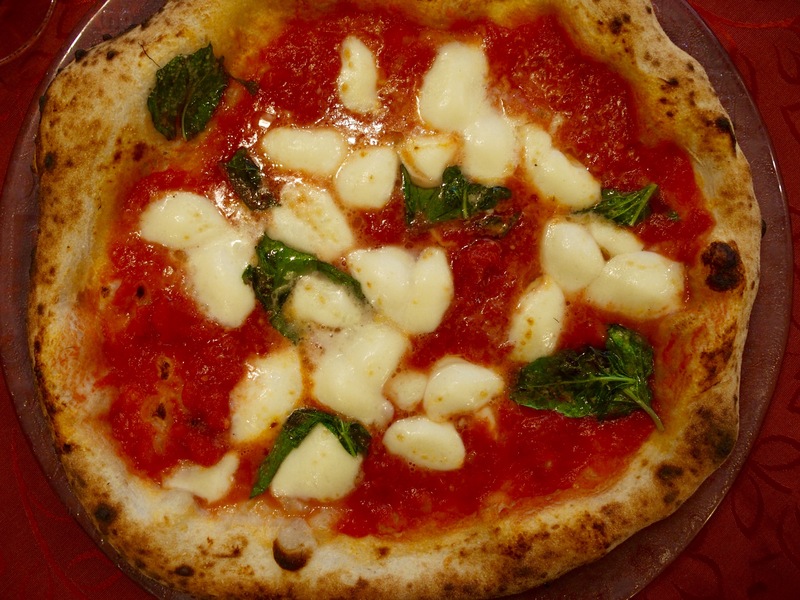 And because I know how much you love pizza…you really don’t have an option but to try a pie (or 4…) from its very own motherland. Yep, that’s right. 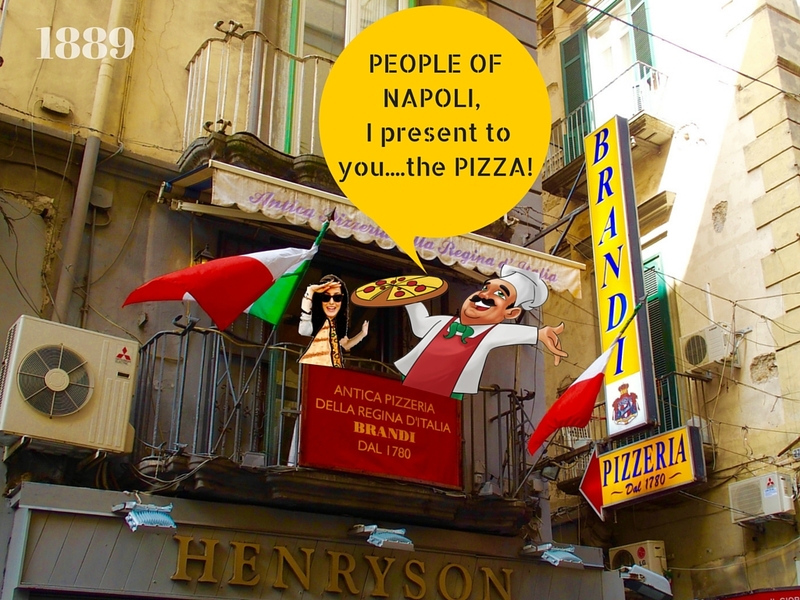 The original Margherita Pizza was created in this Naples Pizzeria, Pizzeria Brandi, in the year 1889. And trying just one pie isn’t enough. 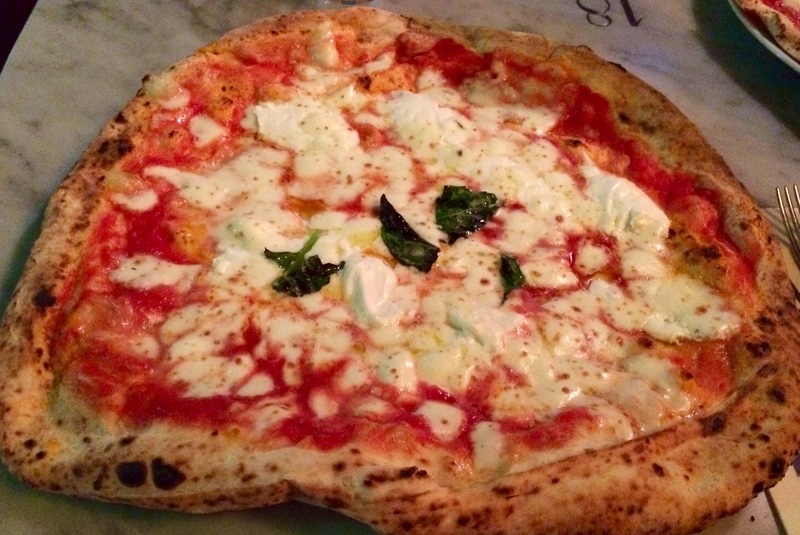 You’ve gotta try at least three, to really get a taste (no pun intended) of a Naples pie. I assure you, it’s like no pie you’ve ever tried. The crust is fluffy and light with a slightly salty flavour. The tomato sauce tastes like it was squeezed straight from the vine, and the fresher than fresh mozzarella works like the ying to the tomato sauces’ yang. It’s all topped off the some fresh basil, and a sprinkle of Italian love. Thus, I say the pizzerias of Naples deserve at least three of your meals. Which requires at least two days (unless you’re like me and can eat pizza for breakfast, lunch, dinner, midnight snack…). 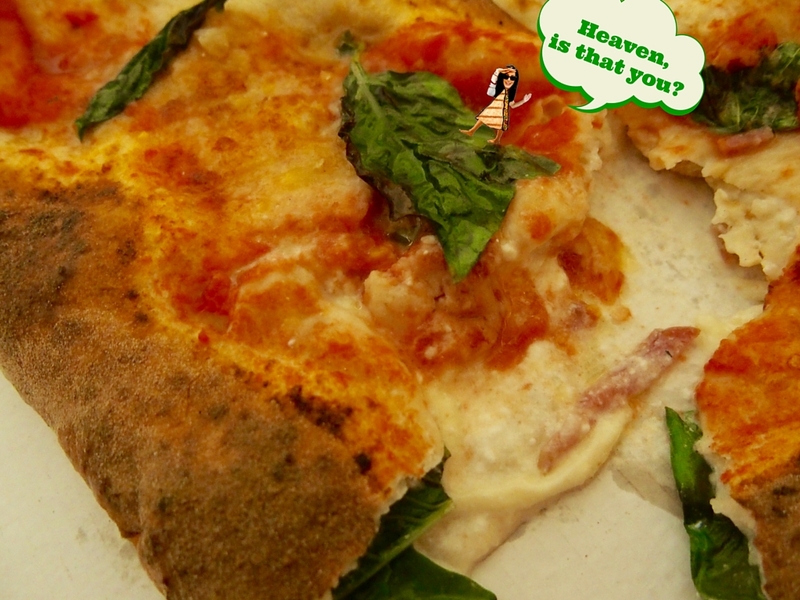 I tried 8 of the allegedly “best” pizzerias, and narrowed it down to my top 3…plus THE BIG BONUS. 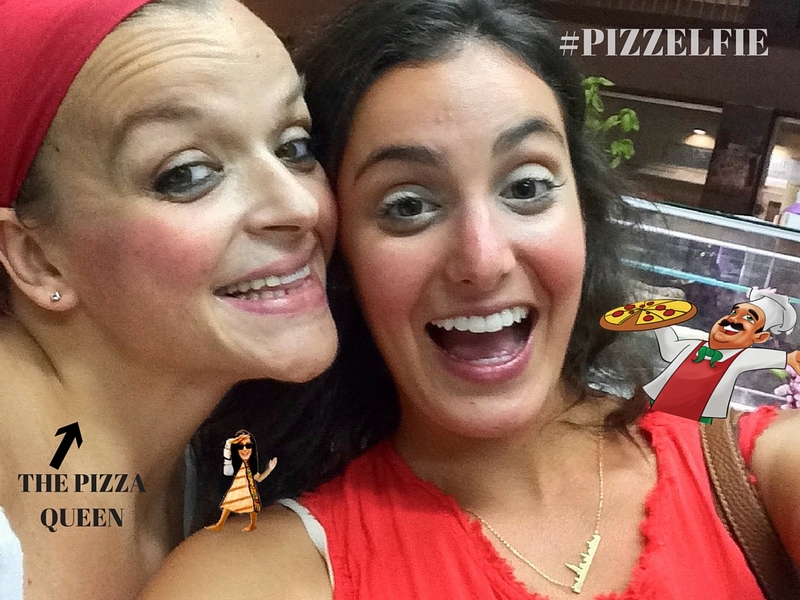 This bad a$$ bella pizza maker won the award for BEST pizza maker in Naples! And she’s a female, which apparently isn’t very common in the pizza-making world. My kinda’ woman. She made me the most amazing calzone concoction I have EVER eaten in my life. It was some rectangular bread lookin’ thing filled with Ricotta, prosciutto, spinach, and fresh tomato. And finished off with a top layer of fresh mozzarella and tomato. Don’t ask me what I ordered, ’cause I have no idea. Language barrier probz. Ain’t we cute? NOTE: Pizza delicacy. It exists. And this is not a joke. If you want to be taken seriously in the pizzasphere, you must order an entire pie for yourself. None of this sharing business. Now, if there’s two of you and you want to order two pies and do a sharey-sharey, that’s a diff story. Totally acceptable. 2. Hostel of the Sun exists. Now, as an avid hostel goer, I will tell you: it’s not easy to come by a good hostel. And this, my friends, is not just a good hostel. It might just be one of the best I’ve stayed at. Between the always smiling staff that greet you at the front desk, the bar that’s always full with people, the super-clean private bathrooms, the huge security lockers, the included nutella-filled breakfast, weekly organized social events, the comfortable commons areas… and last but not least, the customized itinerary that’s made for you upon your arrival. And OH. They do your wash for you. 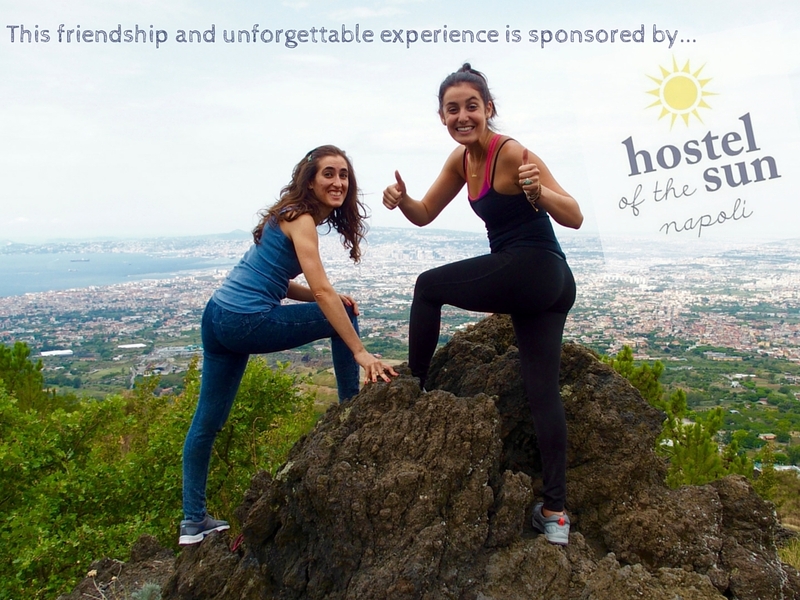 I’m serious, when I say Hostel of the Sun is a reason in itself to Naples-it-up. 3. The port is just downright beautiful. There’s something magically serene about taking a stroll along the Naple’s port. It might be the smell of the the salty air wafting from the navy blue water. Or, maybe it’s the endless strip of beautiful boats docked at shore (don’t you doubt it- I spent my entire walk scheming ways to make friends with one of the captains so they’d invite me on…fail, lol.) Or, maybe it’s got something to do with the mountainous back drop that reflects off the shimmering water? Idk. But whatever it is, it was hard to rip myself away from it. …Oh, and things like this happen. 4. There’s some sweet architecture, and sweeter history. As you all well know by now, I am by no means a history-traveler. But I gotta recognize a nice historical city when one hits me in the face. Did you know that it’s one of the most ancient cities in Europe? The heart of the city is a UNESCO World Heritage Center, which will lead you to pretty much every creepy, ancient, history-ridden religious center you could dream up. It’s the central point for creepy cathedrals, like the biggest San Gennaro Cathedral, which hosts the iconic Miracle Blood Ceremony every September. 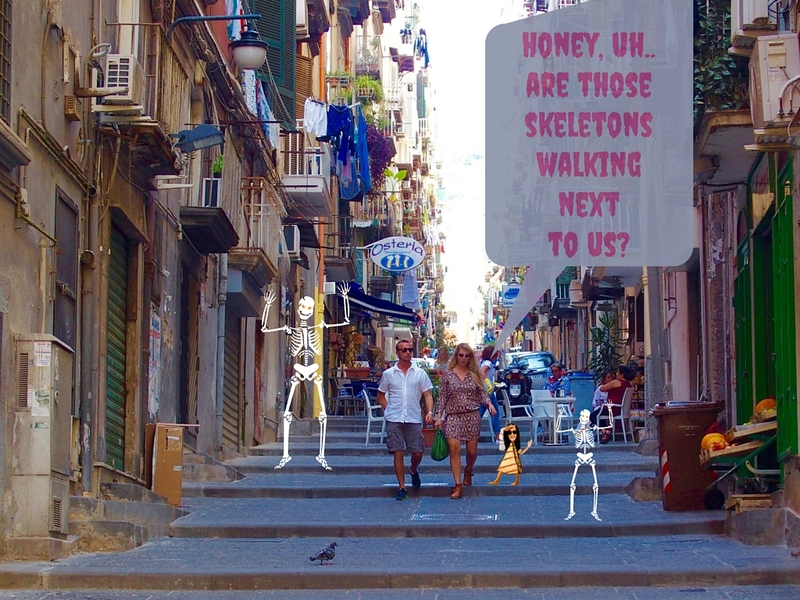 Don’t forget about the chapels filled with skeletons (yes, real-dead skeletons), like the San Severo Chapel, and the 17th century eery-lookin’ sculptures planted around the city. 5. It’s Home to Mount Vesuvius, Mainland Europe’s Only Active Volcano. 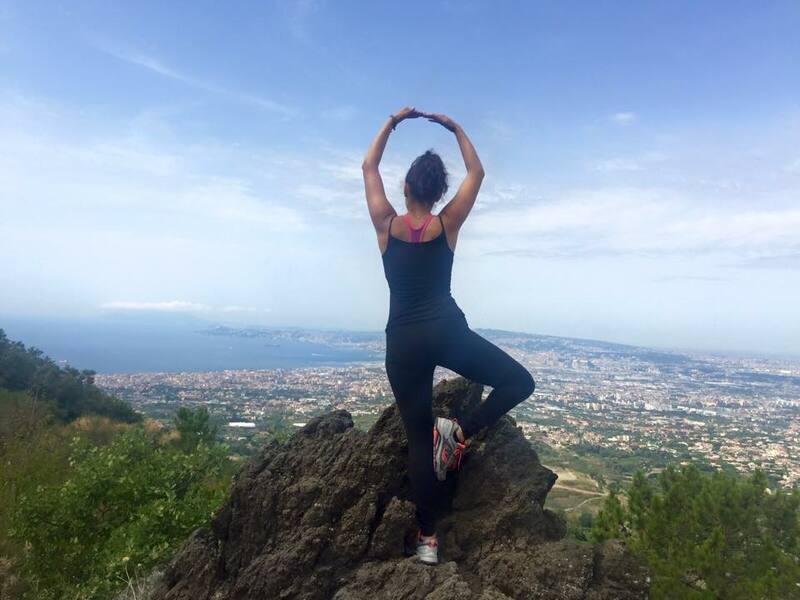 Put on your hiking shoes and trek up to the top, or call up my homies at Vesuvius Horseback Riding Tour and have a nice shiny horse do the work for you (…my method of choice, lol). 6. It’s authentic Italy, without the invasion of tourists. The south of Italy is complicated for the avid traveler. Why? Because as beautiful as it is, over the past 20-something years it has been conquered and infiltrated by TOURISTS. Positano, Capri, Ravello, Sorrento…all beautiful. And all invaded by eye-soaring English speakers with clunky cameras around their necks and maps plastered to their hands. In these places, you will always be able to speak English, chances are you will find a nice couple standing next to you from somewhere near your hometown, and all of the menus are in English. So, are you convinced? Is Naples on your Italian travel bucketlist? 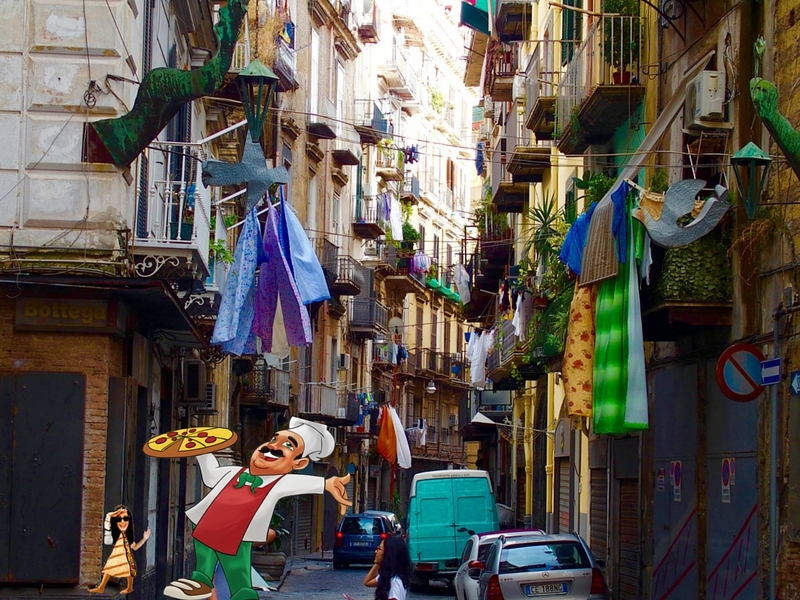 Or, have you been to Naples before?! What did you think?! Let’s chat about it!